Our Georgia Maintenance Managers recently had an action-packed event. For their Q4 meeting, which is traditionally one where our employees get to have a little more fun than usual, the team suited up and got battle ready! 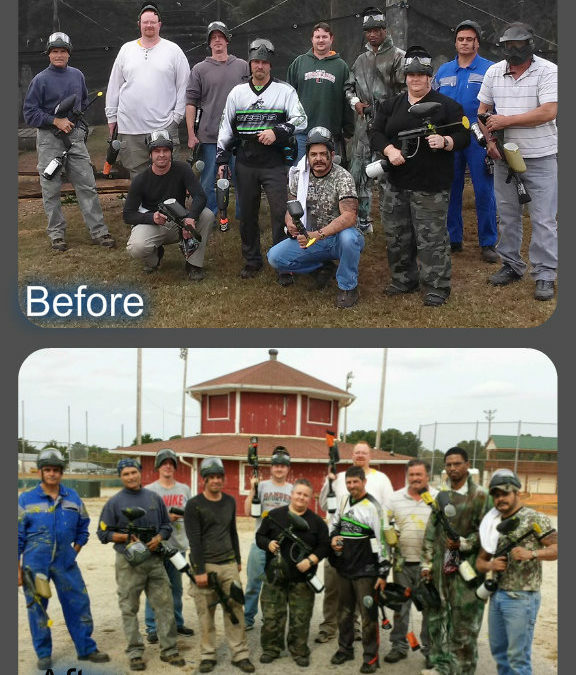 The day consisted of several games of paintball at Hotshots (a local venue) with skirmishes that included several different types of games like capture the flag, zombies, and team death match. After working up an appetite through their battles, the newly-made warriors headed to O.B.’s Barbecue to relax and fill their stomachs with some tasty food. Despite the welts and the sound of “team death match,” it was a great team building experience for the group and they are already looking forward to the next!